These guys first album is the bomb! 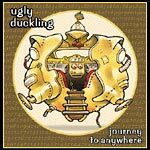 Ugly Duckling makes hip hop fun again and you will know what I mean once you hear these guys spit some words over some pretty dope beats. Check it.